Earlier this week, I shared a lemon mousse recipe I’d made with sauerkraut. In the spirit of making desserts when life hands you lemons, today’s recipe is a vegan lemon meringue pie. This recipe wouldn’t be possible without aquafaba, which is kind of my new obsession. It’s just so freaking cool! Never before have I used such an impressive egg substitute. It whips up fluffy and light–you’d have a hard time telling it isn’t egg white. Challenge number two with this recipe is the egg yolks. Lemon curd is usually made with the yolks, and then you whip the (separated) whites for the meringue topping. The yolks thicken the custard–so because this recipe is vegan, I’ve used cornstarch to thicken instead. I should just mention that the 12-yr-old food critic who lives in my house loved these. And he also loves bacon. He is probably unlikely to become a vegan any time soon, but he really liked these. For the crust, use your favorite store-bought pastry or you can use this recipe. Blind-bake the pastry crust and allow to cool. In a mason jar, combine water, oatmilk and cornstarch. Screw on the lid and shake well. Pour into a small, heavy-bottomed saucepan, and then cook over medium heat, stirring well with a whisk until it starts to bubble. Add the rest of the ingredients, and continue to stir until it thickens and bubbles.You’ll know it’s done when it coats the back of a spoon, and you can run your finger through it without it running back together. Place in a separate bowl, and allow to cool in the fridge. To make the meringue, place the aquafaba, sugar and cream of tartar in a deep bowl and beat well until it’s light and fluffy, and you can turn the bowl upside down without it moving. I recommend you use a stand mixer–a hand mixer is fine, but it takes about 10 minutes. 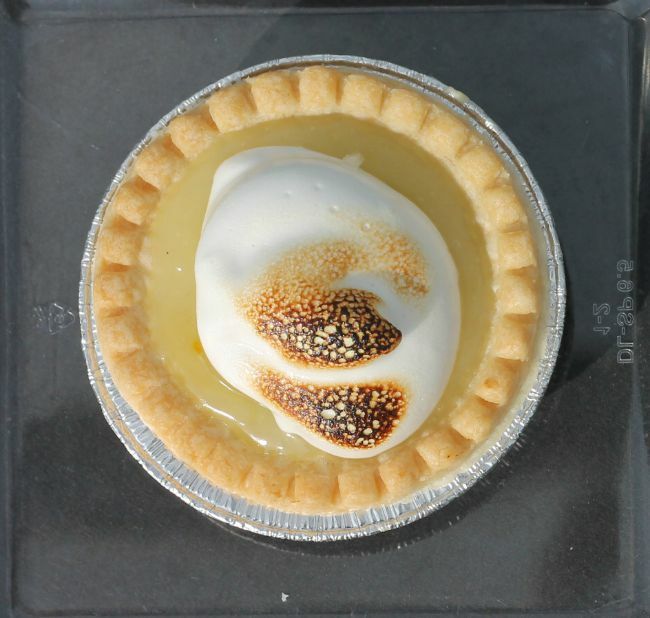 To assemble: spread the lemon curd in an even layer in the pie shell, and then top with meringue. You don’t need to torch it, as it’s not raw eggs, but you can if you like how that looks. Looks great! 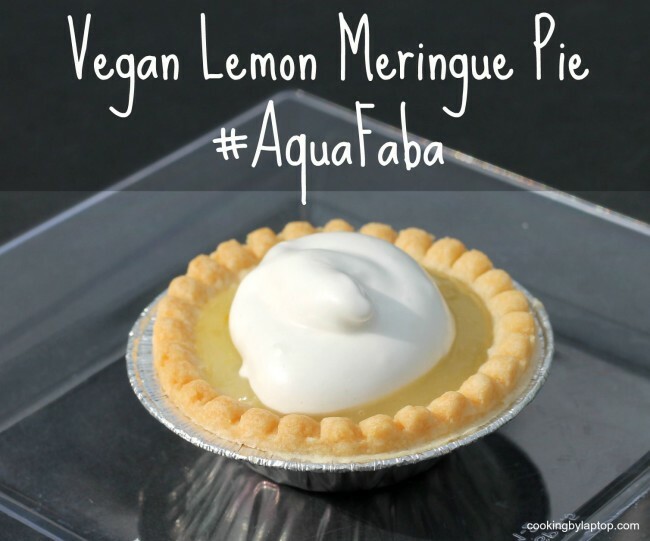 I am loving aquafaba too. I just made my first meringue with it last week. I have found that if you substitute coconut milk (from a can) for the water and oil, it gives a better creaminess and richness and opaque appearance to the curd. COOL! Thank you for that tip, I can’t wait to try that!